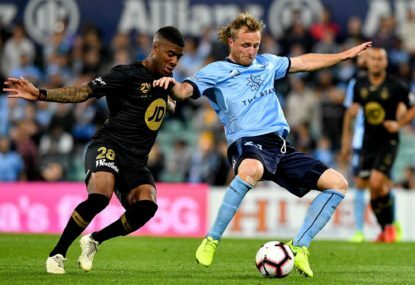 Sydney FC star Adam Le Fondre insists the race for the Premiers Plate is not over despite sitting ten points behind ladder leaders Perth with eight games to go. 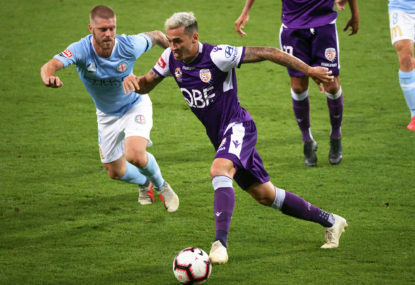 The Sky Blues appeared a major threat for the Glory for most of the season, however have dropped five points to lowly sides over the past fortnight. However Le Fondre refused to concede their hopes of a first-place finish is over. “I don’t think we’re going to chuck the towel in and go ‘Here, you can have it’. We’ll go to the next game and just focus on that,” Le Fondre said. Their profligacy in attack has been their major concern, having produced just two goals from 40 shots on goal against Central Coast and Brisbane. 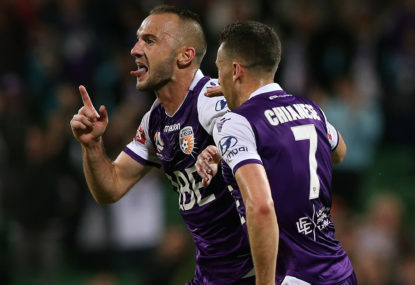 Le Fondre has proven an outlier, with his penalty against the Mariners taking the former Premier League striker to a league-high 13 goals in his maiden campaign. 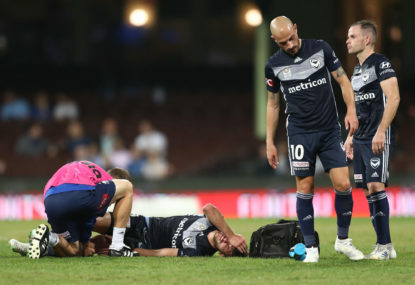 However he also missed a golden chance late against Central Coast that would’ve sealed all three points, keeping Sydney FC within sight of Perth. “It happens in football, we can play like that and only score one goal or play like that and score six or seven,” Le Fondre said. “I had a great chance just after I scored. Nine times out of 10 I would have put that in the top corner but I’ve snatched at it instead of maybe taking a touch. The 32-year-old insists feeling fresh despite emerging from his first Australian summer, where he has yet to miss a game. He will be heavily relied upon over the back half of the season, as well as their upcoming Asian Champions League campaign. “I’m used to playing three games a week, I prefer it when we do that. I feel a lot better for it,” he said. 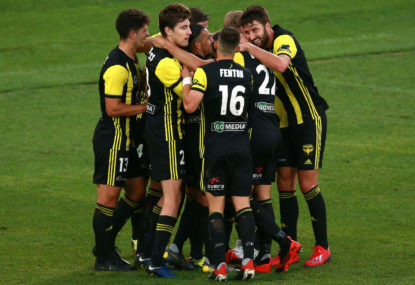 The Sky Blues can rebound when they meet Wellington, who will host their “home” game at Campbelltown Stadium due to the unavailability of Westpac Stadium.